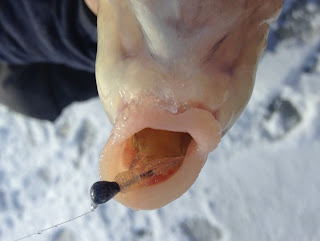 Suckers are one of the last species of fish on my mind during the winter season, I will however spend a few days of open water pursuing a couple different species of them. There are tons of other fish that I would rather try to pattern during our long winter. But after a handful of incidental catches on a few different bodies of water I have begun to slowly put together some pieces and I am now seriously considering attempting a day targeting them through the ice. They fight hard on light gear and each time I have fought one I was positive it was a trophy of whatever I was targeting that day. Don't get me wrong there are tons of more practical species and patterns to target in winter, but there are a few good reasons to try for suckers. Most catches have happened when targeting perch, crappie or trout on mud flats during cloudy days. All but three have come on one form or another of an insect imitation, from small plastics to hair jigs and flies. The other three were on minnow halves. 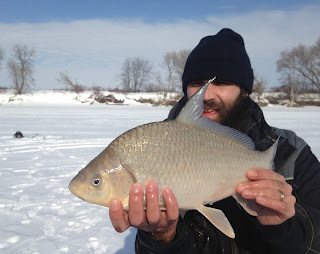 Winter is not prime time for suckers but all fish have to eat at some point right? Up until the other day the only species of sucker I have caught through the ice were White Suckers and all out of lakes. That all changed on the Red River recently while targeting walleye when a Quillback Sucker inhaled my minnow off the bottom. 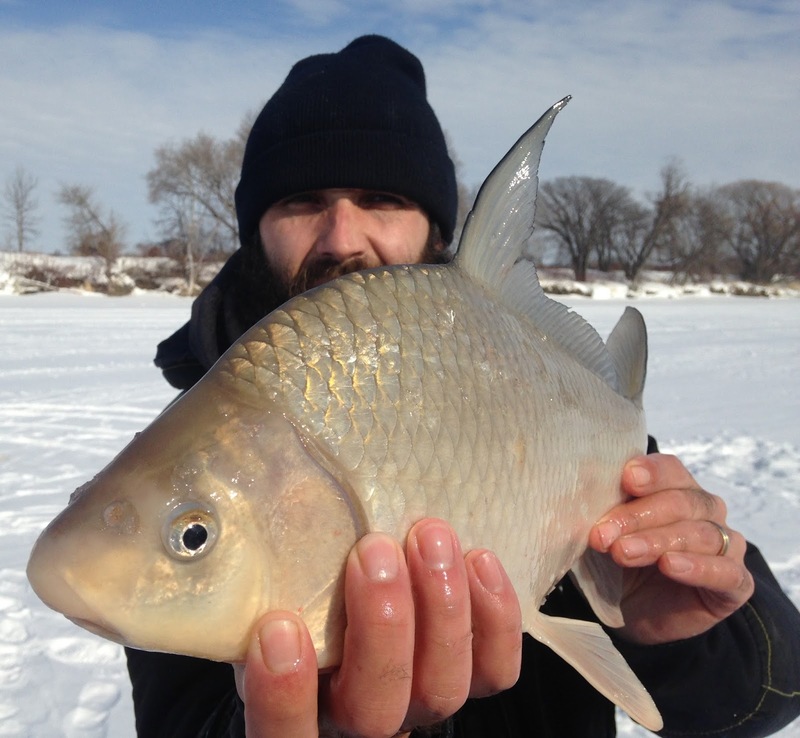 So why target suckers when there are so many better winter angling opportunities? 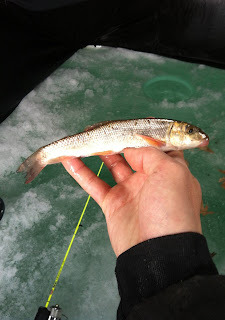 Firstly, some of these white suckers have been a good size for pike bait on tip ups and for that matter I have considered hooking one on alive after I've caught it when the lake I am fishing permits it. You couldn't buy a live sucker within 100 kilometers of where I live. Secondly, knowledge is power and the more one can learn about the winter habits of fish the better, as they usually all tie together in one way or another. Thirdly I'm not prejudice and honestly appreciate all species of fish bodies of water have to offer. I put many roughfish on the back burner during our long winter, one species or another is always in the back of my mind however. From rigging to locations there are so many "less desired species" that I plan ahead for with open water. 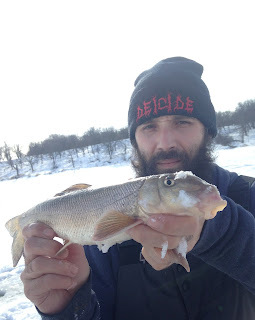 The 18.5 inch quillback was a BIG highlight of this ice season and I can't wait for the next surprise the Red offers up no matter what the season. I hope for many more incidental catches along with eventful multi species days. You never know what you might learn!